Please select a tab from the menu above for more details about our practice. Please do not hesitate to contact us if you require any further information, help or advice. 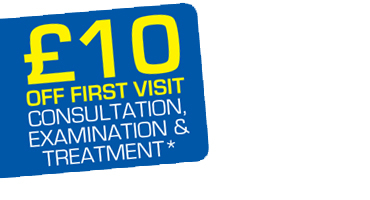 £10 off your first visit including consultation, examination and treatment see under Fee's tab or click image below.